Featured on 'Dr. Oz,' the Bumpy Ball is ideal for massage therapy, treatment of low back pain, sensory integration exercises and dexterity skills. 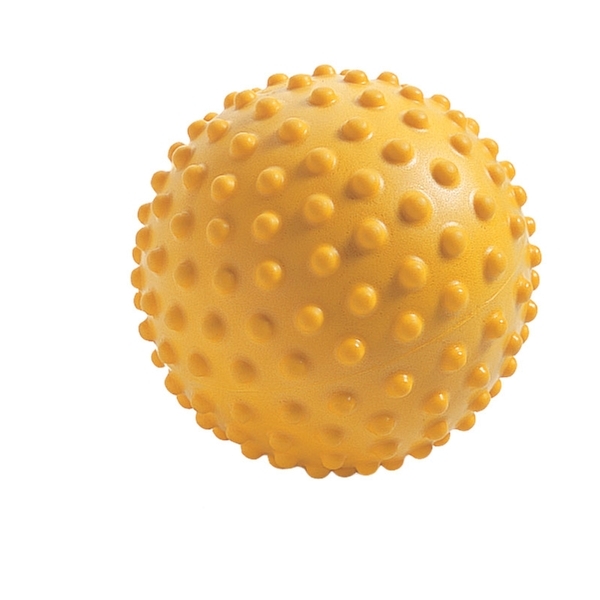 The Bumpy Ball is constructed of a thick, but soft, PVC foam making it perfect for self-massage, myofascial release, trigger point therapy and more. The small bumps on the surface make it easier to catch than smooth vinyl or rubber balls and stimulate the release of endorphins. 7⅞" (20cm) diameter. Needle inflating pump required for inflation (sold separately).